Have you had your carpets cleaned lately? If you have then you know that there is endless list of carpet cleaners to choose from. If you search anywhere for Carpet Cleaners San Antonio you will find a lot of companies. We are listed online, in the phone book, and on Craig’s List. There are so many how do you know you are picking the right one? Did you pick the best in quality carpet cleaning or the best in price? How do you know they were the best? There are a wide range of carpet cleaners San Antonio from the overly pricy to the cheap to the professional to the unprofessional. Most carpet cleaners who are a little or a lot on the pricy side usually are professionals and that is why the charge so much. In many cases they are usually big corporations. They will charge you up the wall for every little thing but they will do a good job and can count on them to show up and back up their work. On the opposite side of the scale you have your cheap carpet cleaners. Usually when the price is ridiculously cheap they are just selling you a steam clean without the pretreatment for spots or stains. In some but rare cases they may actually include the pretreatment but that doesn’t always mean you are getting your monies worth. Cheap carpet cleaners are going to come to your home and do a sloppy job and wet your carpets and leave. There is no kind of customer satisfaction or guarantee. Like the saying goes “you get what you paid for”.. So if there a perfect median between the expensive professional and cheap unprofessional carpet cleaners? Well there are smaller family owned carpet cleaners San Antonio who want to charge a fair price for their professional cleaning. Beyer Carpet Cleaning is one of these carpet cleaners San Antonio. Beyer Carpet Cleaning is a small family owned and operated company. They understand that you don’t want to spend an arm and a leg on carpet cleaning. They also understand that you want a professional carpet cleaner who is going to get the job done right. 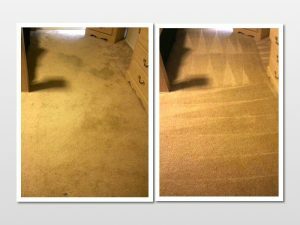 Beyer Carpet Cleaning offers reasonable prices for their professional services that include a deep stem clean, vacuum, pretreatment, and free deodorizer. You defiantly get your monies worth when you use Beyer Carpet Cleaning. The perfect median in the carpet cleaning industry. 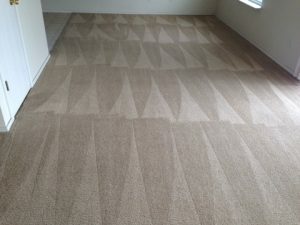 Beyer Carpet Cleaning will not only offer great prices and quality cleaning they also offer a customer satisfaction with their full service cleaning. When their technician is done cleaning and you are unsatisfied you don’t have pay. Just call their office and explain why you are unsatisfied. They will then do all they can to satisfy you and once they have accomplished this then you pay. Beyer Carpet Cleaning tries to be an outstanding fair company so that the customer only gets the best. So if you are in the market for best try Beyer Carpet Cleaners San Antonio inexpensive professional carpet cleaners San Antonio.